Grandpa Lockey was an amazing man. One of my earliest memories of Grandpa was a time he came to visit us from South Dakota. I was so excited that he came. The first morning I told him that I wanted to have waffles but “our waffle iron’s broken.” He taught me a life lesson that day when he said “It’s already broken. Lets see if we can take apart and fix it.”. I’ve been doing that ever since. The waffles were the best ever. When Grandpa Lockey was in his mid 70s, he was nearly crippled from a neuromuscular disease earlier in life. He horse-traded for a pair of Tudors and got local guys to disassemble the cars and bring parts to him while he sat in the middle of the garage floor restoring parts. He would then give the part back to his helper to be bolted back on the car. When help was unavailable he would not let that deter him. Often you would find him utilizing a mechanics creeper to wield his way around. This was around 1980, long before the Internet, he restored the car I have now, all from memories of when he was a Ford mechanic as a young man. 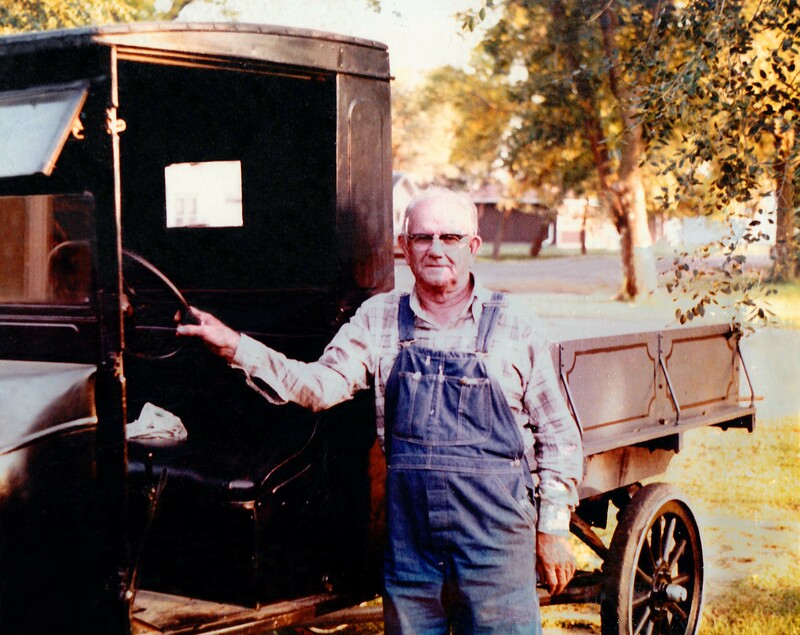 When Grandpa finished restoring his Tudors, he drove them in several parades every year. A few years after Grandpa finished his restoration, he passed on and handed his cars down to his sons. The 1929 Model A Tudor came into the possession of Lockey’s second son Earl and largely unused it sat in the shed on the family farm in Iowa. 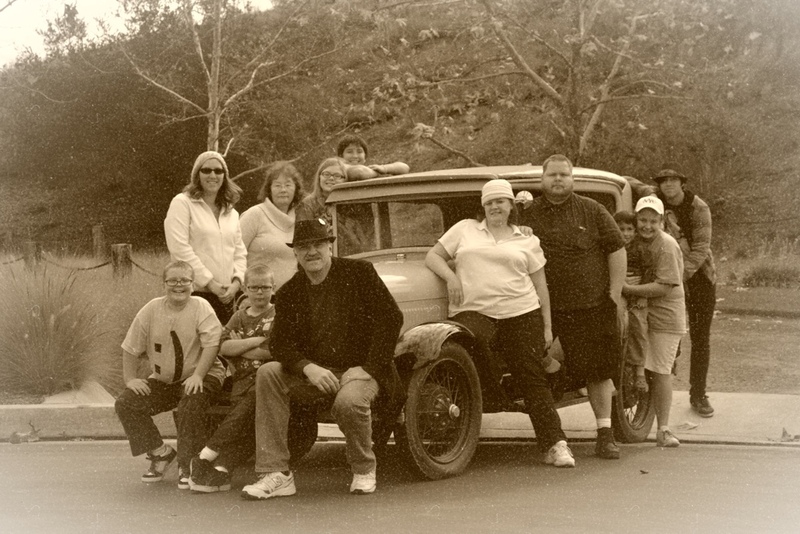 Upon Uncle Earl’s passing, his widow put the Model A up for sale so my oldest brother and I pooled our money and bought the car to keep it in the family. We have decided to call her Ruthie in deference to my Grandpa Lockey’s beloved wife, my Grandma Ruth. For 10 years, the car sat in our garages, unused, until summer 2012 when my grand kids came to visit and I decided it was time to pass that life lesson on to my grand kids. I asked them if they wanted to help me see if we could get it to run. After pouring half a cup of rust out of the carburetor, we improvised a new gasket from a cereal box and tried to start her up. After just a mild protest, she awoke, and we all drove around the neighborhood with Ruthie spitting and coughing constantly. It was a classic moment that, I hope they will someday cherish in their memories or perhaps use the knowledge when they are restoring their own classic car… Maybe it will be Ruthie. Add a “basement” storage compartment under rear floor boards. Remove and replace bad metal in fenders. Replace most lower metal in body, including complete body sub-frame.